'one of the best contemporary statements of what is occurring in the growth of urban places in the Third World' Environment and Planning 'a book that should enjoy a wide appeal: as a plea for adoption of the 'popular approach'; as a text for student use; and as an accessible and stimulating guide to the urban problems of developing countries' Progress in Human Geography 'a very readable book, containing a lot of well documented information The book is especially relevant for interested lay people but many professionals will benefit from having a copy on the bookshelf' Third World Planning Review The true planners and builders of Third World cities are the poor. They organize, plan and build with no help from professionals. Drawing on their own skills, making the best use of limited resources and forming their own community organizations, they account for most new city housing. But the city, which thrives on their cheap labour, rejects them. Their houses are deemed illegal, because they do not conform to regulations and they are called 'squatters', because they cannot afford to buy sites legally. Their right to water, education and health care, even to vote, are often denied. 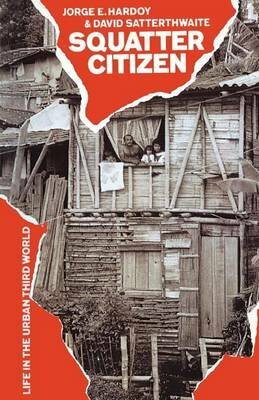 This book challenges many common assumptions about the urban Third World - for example that urban citizens live in very large cities and that cities are growing rapidly, or that city dwellers benefit from 'urban bias' in government and aid policies. It is about the lives of the 'squatter citizens' and the problems they face in their struggle for survival.